Glossy White Rectangular Product Labels, L7123, 140/Pack, 80 x 35 mmLet your brand stand out in the crowd with these sleek and glossy oval white labels. The print-to-the-edge capability lets you apply bold colours and sharp clear text all the way to the edge of the label to vividly market your brand. Backed with permanent adhesive, the labels stick to glass, plastic, paper and more, allowing you to put your brand on nearly any product. With free templates in Avery Design & Print Online, you can easily customise the labels with your branding. Get your products noticed today with these premium.. 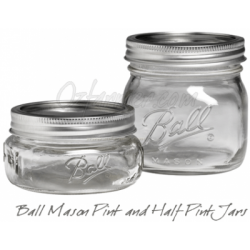 Starting out with preserving or looking to upgrade your old and tired bottles? 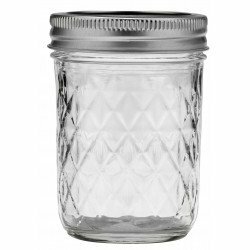 This set is the perfect starter kit.It includes 8 high quality Bormioli Rocco Quattro Stagioni preserving jars complete with lids. 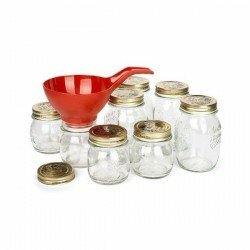 You get 4 x 250ml jars (perfect for jams, pickles or small amounts of fruit like passion fruit) and 4 x 500ml jars (ideal for salsas, chutneys, tomatoes and single serve meals).The kit also includes a funnel.The jars are suitable for use in water baths or pressure canners: if used this way it is recommended that you replace the lids after use as pressure sealing can compromis..
White Oval Removable Product Labels, L7101REV, 180/Pack, 63.5 x 42.3 mmAvery White Oval Removable Product Labels leave no residue on your products when your customer removes the label. You can create a beautiful branded label or price tag, and know that customers can remove it when using your product. You can customise your label with Avery's free software and templates, print and apply to your products. Build your brand with the Avery range of Removable Product Labels.FeaturesLabels stick securely on products or packaging material and can be removed without leaving any residue Develo.. Crystal Clear Square Product Labels, L7126, 200/Pack, 45 x 45 mmSave money on product packaging and branding by creating your own professional-looking labels with Avery Crystal Clear labels. The glossy clear labels are 100% transparent so they blend into the background, making it appear as if your logo has been directly printed onto your products and packaging. You can design your labels using Avery Design & Print Online software, and print them using your own laser printer. The labels are also durable (water, oil and dirt resistant) so they are ideal for labelling food jars and kitchen ite..
Glossy White Square Product Labels, L7124, 200/Pack, 45 x 45 mmGet professional-looking product or promotional labels without the large price tag with our Glossy White Square Product Labels. The label finish is premium glossy white, and the permanent adhesive sticks to glass, plastic and paper. The labels are fully customisable using free Avery software and templates. It's easy to show off your brand with professional-looking product labels that you have developed yourself. FeaturesThe glossy finish gives products, packaging and your brand a premium look and feel Add bold colours and sh..